Welcome, colleagues, to my blog for May; a busy month but a time for remembrance and reflection. We are twelve months on from that dreadful day when 22 innocent lives were taken from loved ones, 22 music fans were killed by a callous terrorist attack and our colleagues in BTP, GMP and the other emergency services were called on to respond. I suspect that there will be many across the country that will re-visit that evening and pay their respects to those poor people who paid the ultimate sacrifice. Our own officers will remember what they witnessed that evening, events that no-one would want to witness, as they ran towards danger. So the month of May, and particularly 22 May, is a day of remembrance. Our thoughts are with the families and friends of those who lost their lives as well as all those who sustained injuries. We're also thinking of our colleagues who attended that evening. You're all in our prayers and our thoughts. Impact on the safety of officers and public. Retention of skills and future career progression. Quantifying the 'enhanced service' that will be delivered post-integration. The impact of the pension proposal on those directly affected, and the broader membership of the scheme as well as the longer-term financial implications of what is being proposed. The lack of guarantees contained within the pension proposal. The absence of any detail behind the headline of the 'triple-lock guarantee'. The lack of meaningful engagement and transparency. The impact of integration on the morale, motivation and job satisfaction of affected officers staff. Anxiety experienced by officers and staff affected directly and indirectly (BTP is a national force, rather than the 230 officers of BTP Scotland). The need to address the current level of mistrust and lack of confidence in the process and those charged with delivering integration. The lack of clarity over future representation by a staff association. The cost of the process, the question over which organisation(s) meets those costs, and the impact that has on policing and individual officers. The impact on operational delivery and public safety of dismantling the successful and seamless single command and control system, which currently covers the entire rail network. As yet there is no seamless ICT system in place in Police Scotland. Any future system must mirror that which BTP operates and then integrate with BTP (England and Wales) so seamless command and control can continue. At present, alternatives to full integration are not being considered. All three aims of the Scottish Government exist already and can be fine-tuned/developed further. A commissioned service model incurs minor costs in comparison to full integration. The evidence session went very well in that there was a strong acknowledgement by all parties that staff engagement has been very poor and must improve tremendously. Understandably there were further discussions around pensions, pension liabilities, best value, overall cost, cross border concerns, safety, risk and ICT concerns. We sincerely hope that the answers and views provided will be given due consideration by the Justice Committee and the Scottish Parliament during their integration re-planning. After the evidence session I was interviewed by the media and, for the first time, received an invitation to attend the next Joint Program Board meeting. Although we had previously asked to attend - a request you may recollect was declined - the newly appointed joint chair, Donna Bell, didn't hesitate to extend an invitation to both BTP Federation and Scottish Police Federation, which was obviously very welcome and accepted. During the discussion regarding the 6-month re-planning phase (which should take us up to September 2018) there was talk around how best to deliver the vision (i.e. the will of Parliament). I queried where in the proposed plan was the best-value principle. We know from the evidence provided to the Justice Committee that the JPB are the advisory body to the Ministers, they are not the decision makers. It was our suggestion that if the cost and risk outweigh the benefits then this should be reported back to the Ministers highlighting such. It was agreed by the joint chairs that a best value principle should be included in any future plans on delivering full integration. Obviously this move was welcomed by the BTPF and we see this as a very positive step. The next JPB meeting will take place on 19 June 2018 in Edinburgh. As well as the JPB meeting we attended the regular Joint Programme Board Partners meeting on 4 May. This is the meeting where all staff associations meet with representatives from Police Scotland, SPA, BTPA and Scottish Government. A representative from NARBTPO, Martyn Ripley, also joined us for the first time. The notes from the last meeting in March have now been circulated to members in Scotland so please check your emails. The partners meeting is designed to discuss T&Cs, pensions, legislation and engagement. There were some positive discussions especially around the engagement commitment and also around the pensions proposal. We are questioning the legal mechanism that can be relied upon by the Scottish Government to achieve what is being proposed especially regarding any proposal to transfer £99 million worth of assets. It was agreed that the legal advice, the Scottish actuarial advice and the trustee's response should be shared with all of the JPB partners. Additionally there was talk around a secondment proposal presented by Police Scotland, nonetheless it was quickly realised after a lengthy debate that more work needs to be done on addressing officers concerns and retaining skills and knowledge rather than looking at how to potentially fill gaps if and when officers leave. I appreciate this is quite a lengthy update regarding Scotland but everyone is working hard to now address those concerns that we have been voicing on your behalf for many, many months now, so I believe it important to share as much of this activity with you as possible. As reported previously, we await the introduction of the newly designed rosters this month. Clearly no one knows exactly how the rosters will work and how they will impact on your daily responsibilities but please be open minded and allow time to assess how they work in practice. If there are any serious concerns, then as always please record the evidence and report it to your local Federation representative. We do now have a newly signed and agreed Working Time Agreement (WTA) in accordance with Working Time Regulations. This should be published on the BTP Intranet. Once we receive the final version we will also post it on the BTPF website. We hope that the change has a minimal impact on your family life and once the rosters are bedded in you will see an improvement in that work life balance that you have all craved. Staying with the WTA, there does seem to be some confusion about what it means. The Working Time Regulations are the legal basis for any organisation regarding what it can and cannot do regarding working hours and practices. One aspect of the Working Time Regulations is that it imposes certain restrictions that organisations must adhere to under law including night shifts. To enable organisations like the emergency services to operate effectively, the regulations allow for a Working Time Agreement (WTA). This allows organisations, in consultation with staff associations/unions, to reach an agreement in writing with regards to rostering issues and it permits those same organsations to step outside some of the restrictions within the Regulations. It does not relate to Police Regulations; it is a totally separate piece of legislation. BTP have to work within the WTA and any suggestion they don't is incorrect. I hope this clarifies any confusion. If you want further details please contact your local Federation representatives. We are still in negotiations regarding the new proposed Limited Duties policy. We wrote back to the Force this month stating we do not agree with the "X Factor" part of the policy. This relates to the situation where the force can potentially remove 8% of an officer's annual salary where that officer has been on restricted duties for more than 12 months, including disabled officers. We have argued with legal support that this is potentially in breach of the Equality Act and therefore we cannot agree with the policy unless this part is removed. I am hoping common sense will prevail and the "X Factor" is duly removed from BTP policy. Work continues in respect of our terms, conditions and regulations. As reported last month we have sought independent professional opinion which we hope will be available this month. Once we have that advice we will report back to the Force. One element of T&Cs that continues to be a bugbear is that of overnight allowance. We believed we had reached an agreement only to see the Force publish something to the contrary on the Intranet. Thankfully the message was removed but we subsequently received reports from officers from D and C division. They were working the Royal Wedding in Windsor and surrounding areas, having to parade at 4-5am and staying away from home overnight, but would not be in receipt of the overnight allowance. We will raise our dissatisfaction to the DCC at our next NNM meeting. Officers will shortly see the introduction of the new Misuse of Substance policy. This allows for random drugs and alcohol testing. Samples requested are with consent and you must be informed of such at the time of the test. Like anyone else in society, you cannot be forced to provide a sample of blood/urine without there being lawful authority. These tests are not designed to catch people out and discipline officers and suggestion that is the case is misleading and incorrect. If there are reasons for you not being able to provide a sample then you must report it to your line manager at the time of the test and obviously BTP will provide support. Nonetheless, let's not forget we are in a disciplined service and none of us wants to work with anyone who maybe under the influence of alcohol or illegal substances and simply saying "I'm not taking the test because I can refuse and you can't force me" is not reason enough and is going to attract attention from PSD. So my plea to all is: let's be sensible. We know why such a policy in policing is required and we should not be obstructive. There is no update yet regarding the proposal that Steve Lewis recently submitted to the NNM regarding the Job-Related Fitness Test and separating it from the PST but we hope there may be an update following the NNM next month. On behalf of BTP Federation I like to send my best wishes to three senior officers departing BTP. They are C/Supt Jenny Gilmore who is joining South Wales Police as ACC, and Supt Kyle Gordon and C/Supt Paul Brogden who are joining the Metropolitan Police. It is sad to see you all leave BTP and move to other Forces, but we wish you well in your new roles and hopefully one day we may see you back in BTP. 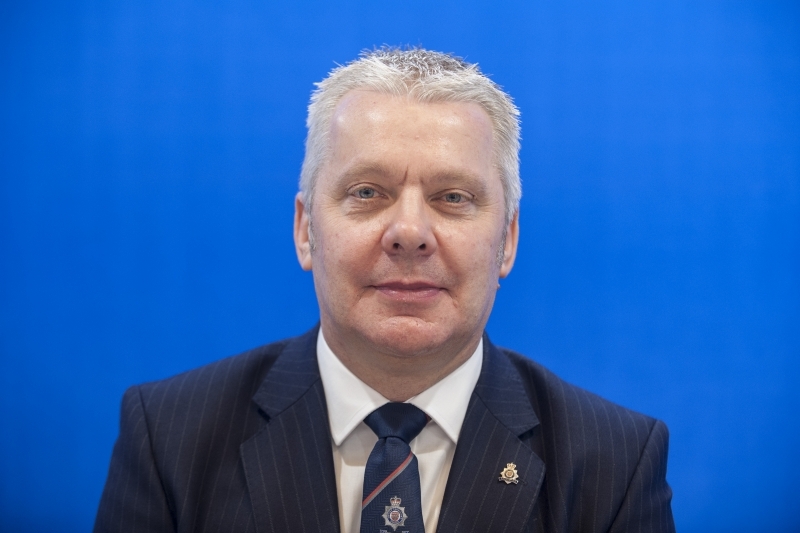 Darren Townsend and I are attending the annual conference of the Police Federation of England and Wales this week. This event is being held in Birmingham and presents an opportunity to meet with Federation colleagues from other forces to share concerns and learn from each other's experiences. We will receive updates from some of our member service organisations and police charities including George Burrows, Reynolds Dawson, the Police Credit Union, Police Treatment Centres, COPS, PMAS and the Police Care UK. We also have our monthly meetings with the BTPA CEO Charlotte Vitty, the Chief Constable and ACC Robin Smith. We are aware of concerns around long service medals, certificates of service and a recent embarrassing situation regarding the standard of a certain certificate. The Chief Constable is aware of the situation and he shares your frustrations. He has also written to the officer personally to apologise. Thank you again for reading this month's blog, I hope it is informative and if you have any questions or concerns please do not hesitate to contact your local representatives. Quote of the month: "Things work out best for those who make the best of how things work out."